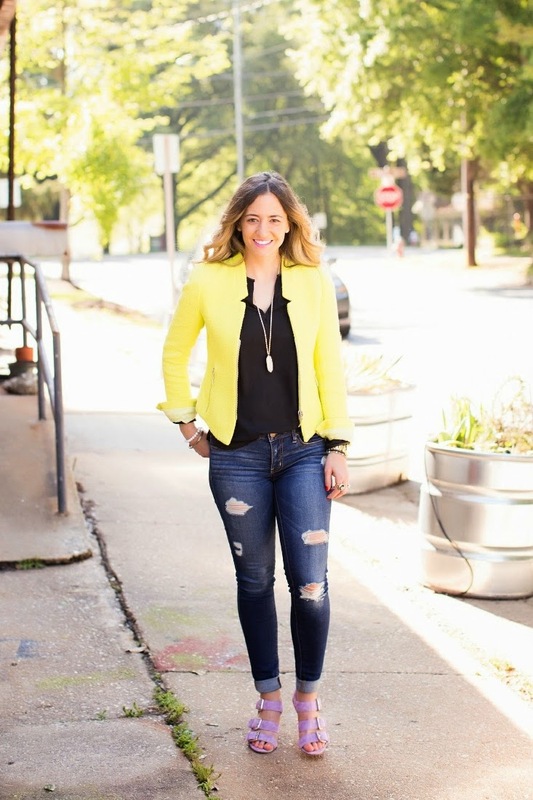 I love a great blazer, dark denim and a perfect pair of shoes. This outfit has all those elements, but with a new twist on those classic pieces. 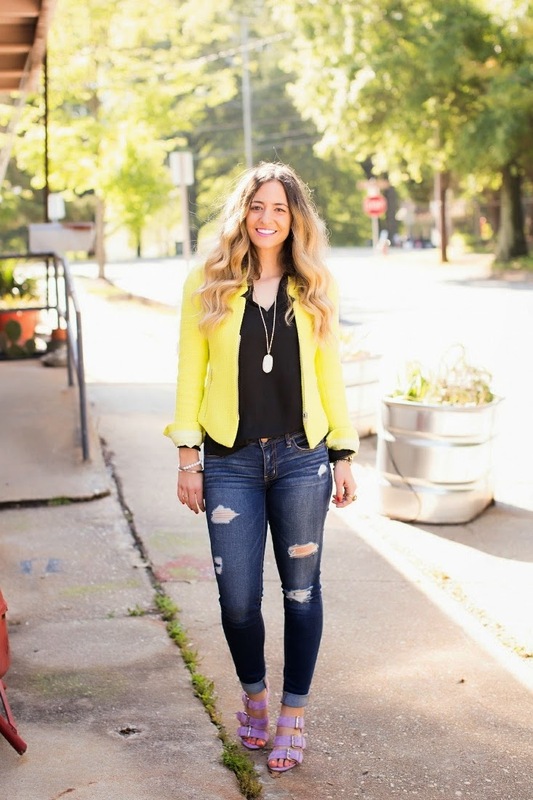 A neon colored jacket, destroyed pair of skinny jeans & purple suede sandals, combine together to create a fabulous and casual yet put together ensemble! I know this jacket is about 3 years old, but you won't believe this almost exact duplicate I discovered that comes in 3 different colors. And the price is spot on. Don't be afraid to mix your color combos up. 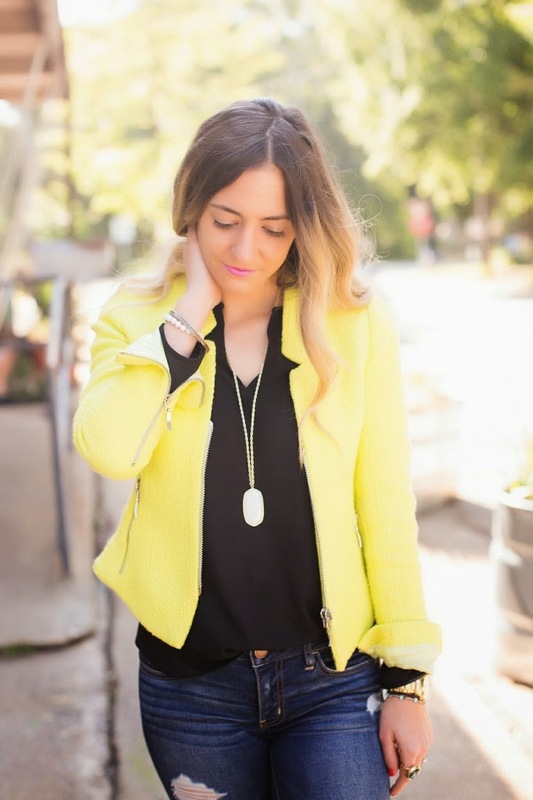 The black blouse and dark denim help tie in the bright colors nicely, don't you think? Great jacket!! Love your hair! 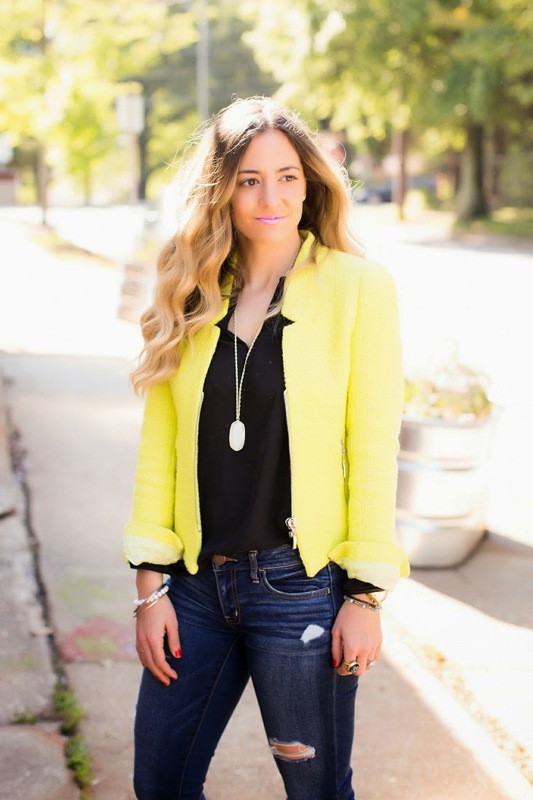 The yellow blazer is so polished and the lavender sandals are fun and elegant at the same time. They both look great with the distressed denim. Pretty pendant necklace, too. I saw this on Zara awhile back. Love the bright color on you, and the lavendar shoes are just so pretty too! Nice look!! That is a fantastic blazer, I will definitely be checking it out and possibly adding it to my closet. 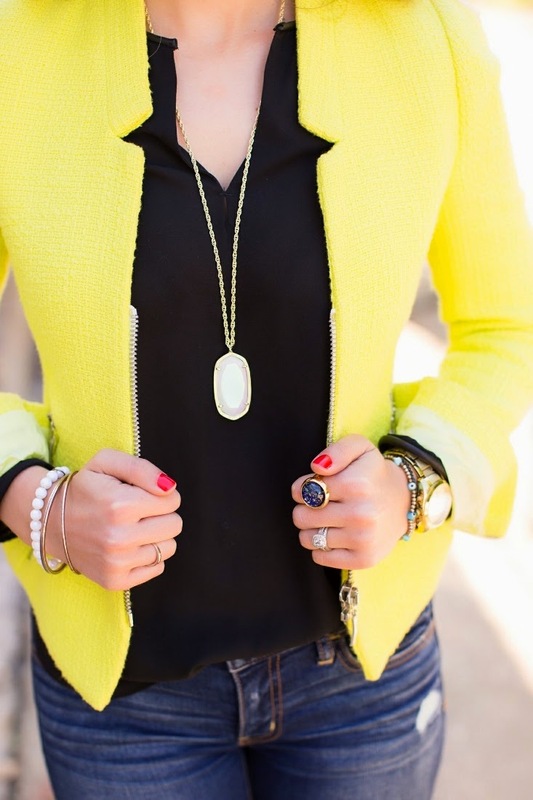 A great blazer, I love the bright color!